We have a separate website devoted to Professional Negligence Mediation. 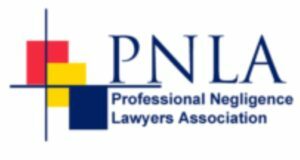 We are members of the Professional Negligence Lawyers’ Association and offer discounted rates to fellow members. Professional negligence disputes often involve allegations of poor or negligent advice and even fraud, leading to sensitive, protracted and expensive litigation that the parties can ill afford, particularly if they have already suffered loss. Claims are often funded by conditional fee agreements and/or damages based agreements. With professional indemnity insurers involved, the issues can be become more complicated, leading to further pressure on the parties both in terms of costs and time. Dispute resolution processes such as mediation offer clients an opportunity to manage such disputes sensitively, confidentially and quickly. Professionals’ reputations are often on the line and mediation can help to reduce the risk of reputational damage. As the Courts increasingly penalise parties who refuse or ignore invitations to mediate it can be negligent to fail to offer mediation at an early stage or to accept an invitation to mediate. Claimants and defendant insurers are often happy to put matters on hold while they try to resolve them and avoid having to pay the issue fee or defence lawyers’ costs. Litigation is increasingly expensive and outmoded. Mediation is a far preferable way of dealing with a professional negligence claim than protracted and expensive legal proceedings, involving costs and Court fees, which have risen exponentially. It can cost 5% of the value of the claim to issue it at Court. If fixed recoverable costs are introduced, as planned, then there will be a further incentive to resolve claims early on as any costs over the cap will not be recoverable from the other party. For insurers and claimants alike it is better to spend a relatively small sum on a mediation rather than continuing with costly litigation. Fixed price mediation provides the services of a ProMediate Chambers Panel Mediator for a fixed price that covers all pre-mediation preparation and mediation time on the day itself up to a maximum of 7.5 hours. Fixed Price Mediation Service – What does it offer? Fixed price mediation provides the services of a ProMediate Panel Mediator for a fixed price that covers all pre-mediation preparation and mediation time on the day itself up to a maximum of 7 hours (plus grace period of half an hour). ProMediate Civil Mediation Council Registered mediators have been selected to be on the Panel based on their performance and our clients’ expertise requirements. The cost is calculated using the scale detailed below. Claim values are calculated by the quantum of the higher of the claim or the counterclaim. What is covered under the fee? Mediators tend to arrive to prepare and set up the mediation no less than 30 minutes before the mediation begins. How long does it take to arrange the mediation? ProMediate Chambers can arrange the mediation within 48 hours. Disputes with either a claim or counterclaim in excess of £250,000. unreasonable conduct when considering costs at the end of the case. There is still uncertainty following recent cases as to whether the Court will penalise a successful party who refuses to mediate and how. One thing is certain, however, that you can reduce the risk of an adverse costs order by agreeing to mediate. Some Courts issue an Ungley or Jordan order providing that the parties lodge a statement at Court explaining why they are not willing to mediate, for the judge to consider. The Courts have shied away from making participation compulsory but the debate continues. There is an instinctive feeling in the Courts that forcing mediation on the parties is the wrong way to go, although a cynic might point to the fact that many judges come from the ranks of the Bar and there is a prejudice against resolving disputes outside the adversarial process. Unless the client gave clear instructions to fight the case and to refuse mediation, which they are entitled to do, and to take the risk, a refusal to mediate which leads to a worse costs outcome might constitute negligence by the Solicitor. The client should receive clear advice about mediation options so as to make an informed choice as to the risks.